You know you’re getting cranky these days but don’t know why? Hearing loss is a problem nearly 50 million people in this country face, according to the Hearing health Foundation, but, for many, it sneaks up on them with age. The problem doesn’t end at your ears, either. Research shows that even mild hearing loss puts you at risk for memory problems and dementia. What your might decide is just a sign of age may actually be a treatable medical problem. 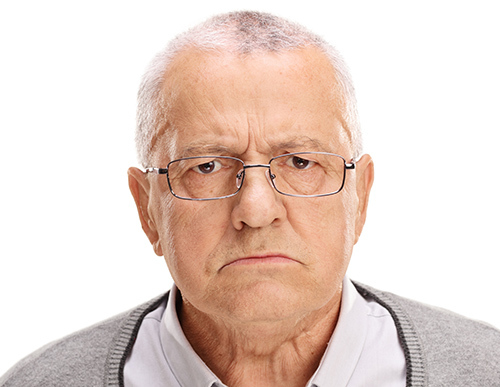 It’s time to find out and end that cranky state then you can look for ways to manage age-related hearing loss. Finding out a little more about what you’re dealing with is a practical place to start. For many individuals, hearing loss is a natural side effect of getting older. One out of every 3 people over the age of 65 has some variation of hearing loss. It’s not fully understood why this happens, but it may be due to years of the noise. Everything from the music you listened to when you were 16 to driving with the window down in traffic. The world is full of potentially ear-damaging noise that can erode the delicate mechanisms that help you hear. Chronic diseases that become more common with age are a possible factor, as well. High blood pressure, for example, or diabetes can both interfere with blood flow, which causes damage to the nerves of the inner ear. No wonder you’re cranky. It’s the small things that are the most frustrating. For example, it becomes more difficult to understand words with "S" or "F" in them. You might not appreciate that’s what is happening, though, because you don’t hear the words well enough to make the connection. First find out if you actually have hearing loss. Start by asking a family member if they notice you struggling to keep up with conversations or if you say "What?" a little too often. If there is any doubt, then a hearing exam will clarify everything for you. The physician will look inside your ears for obvious problems like a build up of wax or visible trauma. The next step is to get a hearing test from a professional. This not only helps to confirm your hearing loss but it also gauges the extent of it. The audiologist will recommend the next course of action for you based on the results of the test. In most cases, that will involve getting hearing aids. If you are experiencing this kind of age-related hearing loss, you will benefit greatly from these medical devices. Find a certified hearing aid store and take some to time find the right brand and model for your needs. Modern devices do more than just amplify sound. They block out the background noises, connect to phones and computers and even pinpoint the direction of a sound. Different styles and types of hearing aids come with different features, so research them all to find out what you need to improve your life. Consider the style you want for your hearing aids, too. They come in fashionable colors or with no color at all, so they are practically invisible. There is no downside to dealing with your hearing loss, but, plenty if you don’t beyond just making that grumpy attitude.